Tanglewood Collingwood is “Life Living on the Green”. 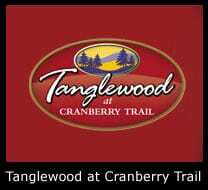 This new condo community located in Collingwood’s west end promises to be “a golf course community like no other.” Tanglewood offers traditional post and beam style homes including bungalows, street towns and town villas. The Tanglewood Community features several Energy Star Homes. The development meanders through the Cranberry Golf Course, from Cranberry Trail East to Cranberry Trail West, a distance of almost 2 kms. Amenities: Seasonal outdoor pool, walk to golf course, walking trails, grounds maintenance & snow removal.